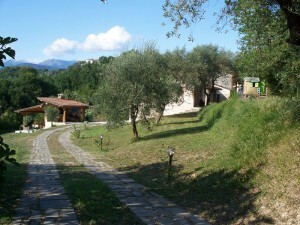 The agriturismo is situated in high Tuscany precisely in Lunigiana, close to the Cinque Terre, Portovenere, Portofino, Lerici e Versilia. The agriturismo is surrounded with green areas, just a few kilometres away from the most important lunigianesi centres; surrounded within 3 hectares of land, there is an 18th century castle , carefully restructured to maintain the localities architectural characteristics. Situated in the heart of the Lunigiana, is the ideal position to visit the 100 castles of the zone and admire the Apennini and the Alpi Apuane.